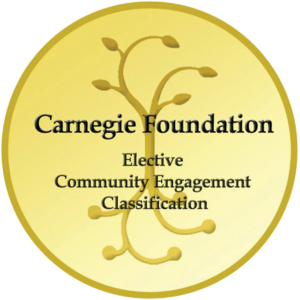 Empowering students, faculty and staff to serve society through community engaged scholarship that enriches learning, promotes civic literacy and contributes to the study of community needs and resources. The Center for Civic Engagement coordinates year-round civic engagement initiatives on and off campus. Civic Engagement Summit: The Center for Civic Engagement has been nationally recognized for its dynamic and noteworthy community outreach efforts in San Antonio and its impact on the global community through teaching and research, public service, volunteerism, civic partnerships and economic development. To create an open forum for the community to share ideas and perspectives on civic engagement, the Center hosts an annual Summit in February. Check out 2nd Annual Summit and 3rd Annual Summit to find out more info about each event. Engaged-Learning: The Center supports an average of 25 engaged-learning courses per semester. We support faculty attain official designation as an “S” course, help track levels of community engagement and identify the type of community issues being addressed in their classwork.